Personal injury cases can evolve from a number of different occurrences, such as a car accident, medical malpractice mistake, dog bite, or a slip and fall. When someone has a personal injury case, whether it be from a car accident or a medical malpractice issue, an insurance company will likely be involved. Usually an insurance claim will be filed before filing a lawsuit. A lawsuit can be filed at any time, however, in general reaching a settlement with the insurance company is normally the first step before turning to a civil suit. 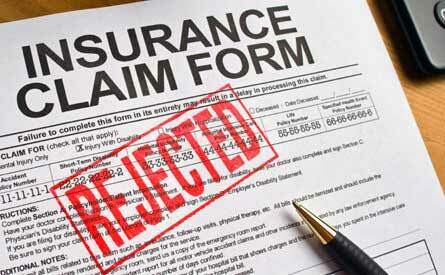 It is only once the negotiation process has broken down and a settlement cannot be reached with the insurance company that a lawsuit is usually filed. If you are injured in a car accident, a claim will be filed with the at-fault driver’s insurance company. A minimum amount of car insurance coverage is required in most states. Also, insurance companies may be required to offer “uninsured driver” coverage in case a person is hit by an uninsured driver. If an agreeable settlement cannot be reached, a lawsuit may be necessary. There are substantial expenses that come along with filing a lawsuit, however, which should be considered before filing. The proposed settlement needs to be weighed against the cost of filing the suit. Additional attorney’s fees – a person may be represented by an attorney before filing a lawsuit. The attorney may have helped to negotiate a settlement with the insurance company. If a settlement cannot be reached, the attorney may charge additional fees for pursuing a lawsuit. Filing fees – certain documents filed with the court require a filing fee. Serving the parties – the Sheriff will charge a fee to serve the other party. Court reporter fees – a court reporter may be required if depositions are taken and there will be a charge for the deposition transcripts. Expert fees – expert medical testimony may be required. Copying costs – medical records, witness statements, police reports, as well as many other documents could be necessary in your case. Time off work – you may be required to take time off work for depositions or if the case goes to trial. If the other party can prove that you share some part of the blame for the injuries that you sustained, then any personal injury award may be reduced. In Texas, the amount that you would receive will be reduced by the amount equal to the percentage of your fault. Also, under Texas Statute, caps are placed on medical malpractice awards; it is important to realize this if you have been injured by medical negligence. Arbitration and mediation are also two options that may be explored during a lawsuit in hopes of reaching a settlement before the suit goes to trial. At any point during the lawsuit before a final judgment is reached, the two parties may settle if they come to an agreement. If you plan on filing a lawsuit, be aware of the statute of limitations for such actions in Texas. Under Texas Statute, a personal injury lawsuit must be filed within two years of the date the injury occurred. Filing a personal injury claim is the first step after an injury occurs, although a lawsuit may be necessary if a settlement cannot be reached. An attorney can help you understand which option is best for you, given your current situation. To speak with an attorney at Sutliff & Stout about your case, please call (713) 987-7111 or fill out the short form below. We look forward to serving you.